Barcelona full-back Jordi Alba has indicated that Chelsea striker Alvaro Morata is good enough to fit in at the Nou Camp. 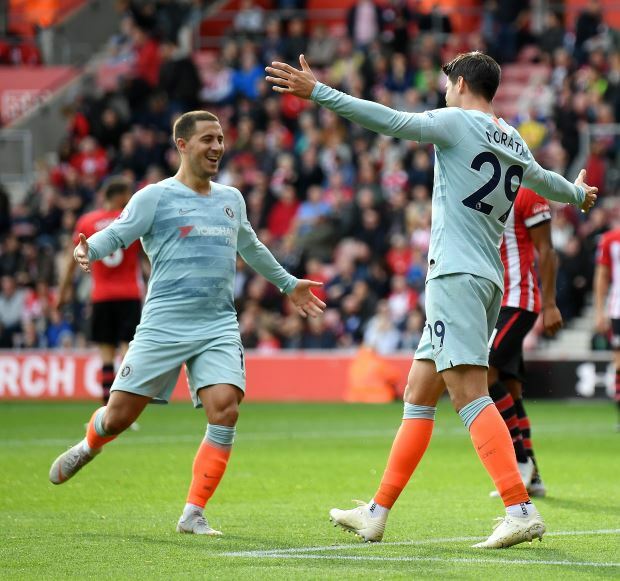 The striker's future at Chelsea has been under the scanner as he continues to struggle to settle down in England and make his mark after spending close to one-and-a-half seasons at Stamford Bridge. He has been linked with a move away from Chelsea in the January transfer window and his agents have reportedly offered him to Catalan giants Barcelona. The Blaugrana are said to be considering signing the former Real Madrid man and Alba indicated Morata has the ability to fit in and excel at Barcelona. Alba told Spanish daily Mundo Deportivo when asked about Morata: “Good footballers and good people will always fit in at the club. AC Milan are also reportedly interested in the Morata but they are eyeing a summer move for the Chelsea striker. The Spaniard suffered an injury against Vidi in the Europa League and could be facing several weeks on the sidelines.